After releasing and getting a huge success for its Galaxy S7 and Galaxy S7 Edge flagship devices Samsung now seems to be preparing for its upcoming flagship devices for 2017, including the new Galaxy X device which is in news these days with its latest rumors and leaks. Not only the Galaxy X but it appears that Samsung will also be coming with its 4 new flagship devices total of five devices which include the Galaxy S8, Galaxy S8 Edge, Galaxy Note 7, and Note 7 Edge and the fifth device which has been rumored to be called the “Galaxy X,” the new Galaxy X will feature a foldable 4K display which will include a diamond PenTile subpixel arrangement and users will be able to pocket the device very easily just by folding the device half like a wallet. For now, we are expecting that Samsung will make some announcement about the new Samsung Galaxy S8 and the Galaxy S8 edge at a scheduled launch in the first half of 2016. Later this year, Samsung could also be going to introduce its latest Samsung Galaxy Note 7 and the Galaxy Note 7 edge. Both the new Galaxy S8 and the Galaxy Note 7 variants are expected to come with QHD Super AMOLED displays with an RGB subpixel arrangement. Both the devices have also been rumored to come with a 4K display with a PenTile subpixel arrangement, similar as rumored for the Samsung’s new Galaxy X flagship device. 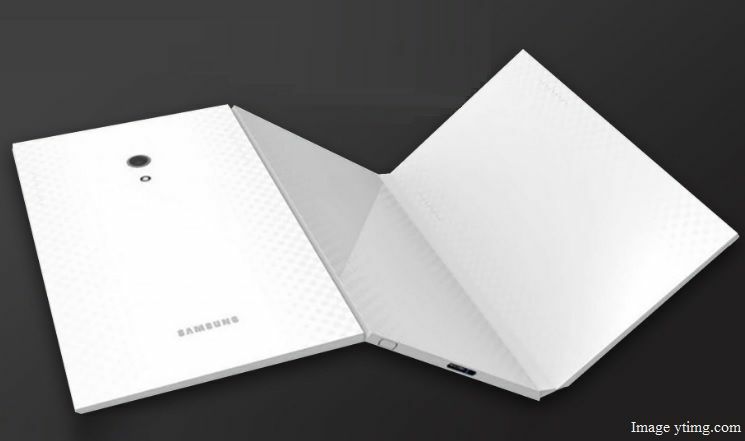 That’s all for now, but we are really excited just like you to know more about Samsung’s new Galaxy X device, so stay tuned will get you the latest update as the latest announcement comes from the Samsung in the coming months.